Pat! 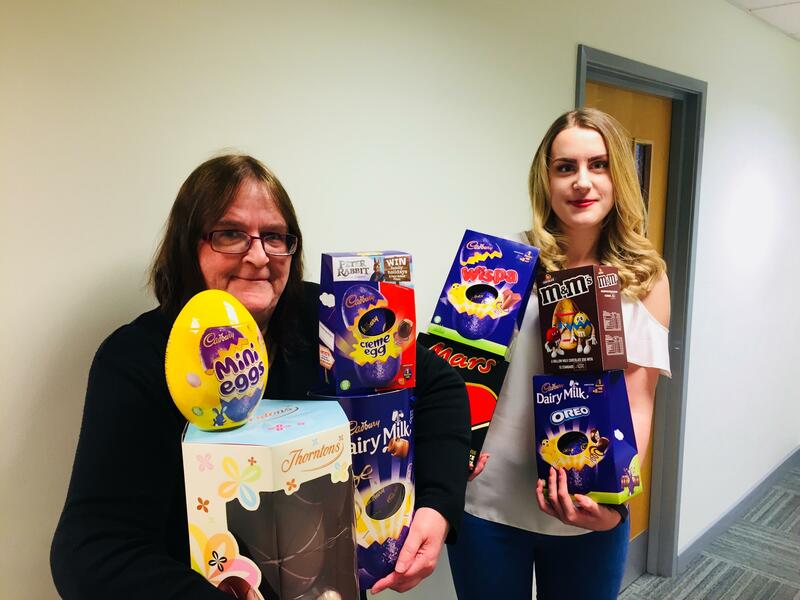 Today Lauren (right) had the pleasure of presenting Pat with a huge bundle of Easter Eggs. Pat was thrilled to be the winner of our Easter competition, saying “she never wins anything”. Well, you have to enter to be in with a chance. We would like to thank everyone that entered and the Wills team wish you a eggcellent Bank Holiday.